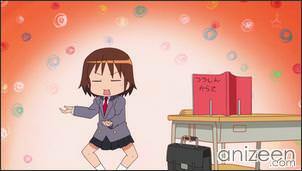 Yasuna Oribe is a regular high school girl or at least that’s what she thinks. She is clumsy and has befriended a transfer student named Sonya. Every morning, Yasune, with a care free attitude approaches Sonya. 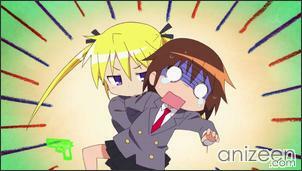 And every morning, Yasune receives a new injury. After all, Sonya is always alert due to her job as an assasin. Yasune tells Sonya that she is always so tense, with a calm personality, seems that Sonya has everything under control, but actually, she is always on her toes. And no matter what, she won’t accept that she is scared of simple things as insects or ghosts. 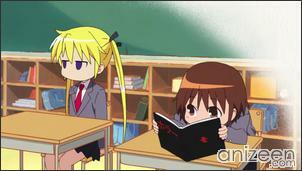 Later on, Yasuna tells Sonya that she wants to learn some of her moves. After all, she is friend of an assassin, so, learning some self-defense won’t harm anybody. 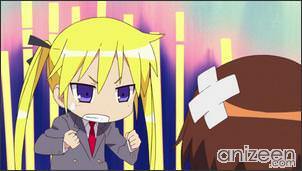 Of course, Yasuna doesn’t want to kill a person and asks for some easy moves. Sonya understands and tries to teach her something easy, but in the end every move she uses ends being a mortal attack. 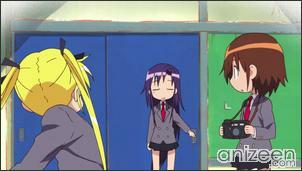 As the day goes on, Yasuna makes good use of Sonya’s reflexes as an assassin, but once a dog enters the classroom; both girls don’t know what to do. Actually, Sonya freaks out and starts trembling. Sonya throws away her lunch expecting the dog to follow the food. Instead, the dog jumps and catches it. Sonya is serious and thinks she can handle the dog if she thinks this is a job. Unfortunately for her, her fear won’t let her perform as usual. As the lunch breaks comes to an end, the dog feels sleepy. 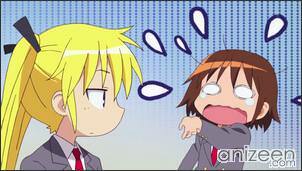 Yasuna thinks some food will lead it away; instead, they seem to have gained a new pet. 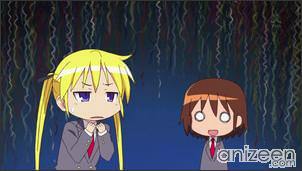 The day is almost over, and Yasuna asks Sonya if her fast hands are useful in different ways than self-defense. Sonya is proud of her fast hands and says that she doesn’t need bug repellent. After all, she would catch her prey really quickly. In that exact moment, a bug flies into Sonya and she catches it in a flash. Too bad it’s one of Sonya’s nightmares come true. Sonya is a foreign trained assassin attending a regular highschool. 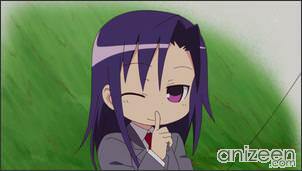 As she constantly takes on assassin work she is constantly alert and often attacks Yasuna when she takes her by surprise or tries to play jokes on her. Despite her tough composure, she is scared of various things such as cockroaches, ghosts and wild animals. 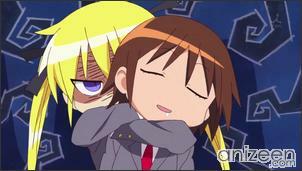 Yasuna Oribe is Sonya’s dimwitted classmate who is often friendly to Sonya despite how dangerous she is. She tends to take on the brunt of Sonya’s attacks whenever she takes her by surprise or goes overboard with her pranks. 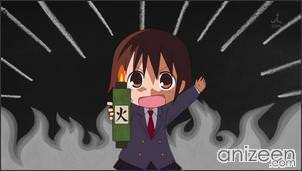 Kill Me Baby (キルミーベイベー) or Baby, please kill me. 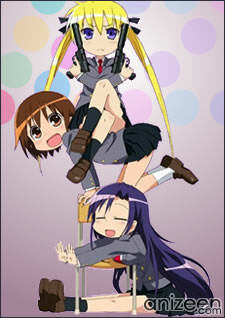 is a Japanese four-panel manga series written and illustrated by Kaduho which began serialization in Houbunsha’s Manga Time Kirara Carat from July 2008. 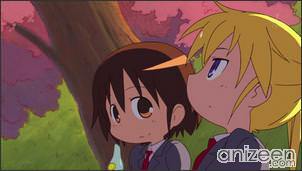 An anime adaptation by J.C. Staff began airing in Japan on January 5, 2012.